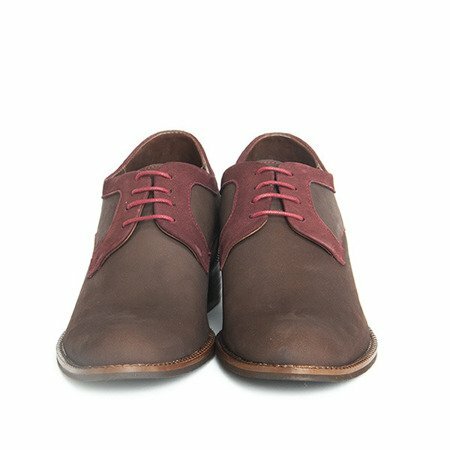 Boosting shoes 7 cm made of brown and cherry colored nubuck. 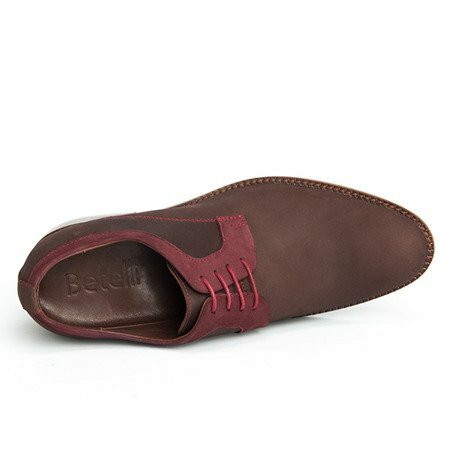 Simple and universal cut suitable for everyday wear. 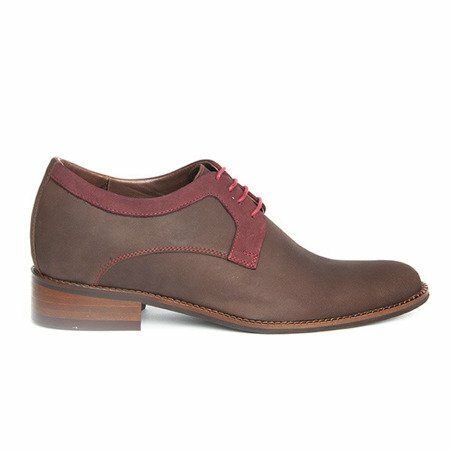 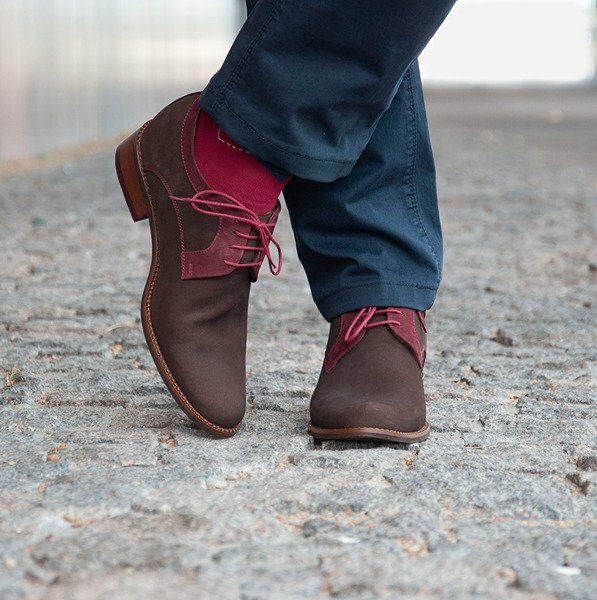 The Bitonto model is 7 cm high for everyday styling, made of brown and cherry nubuck. 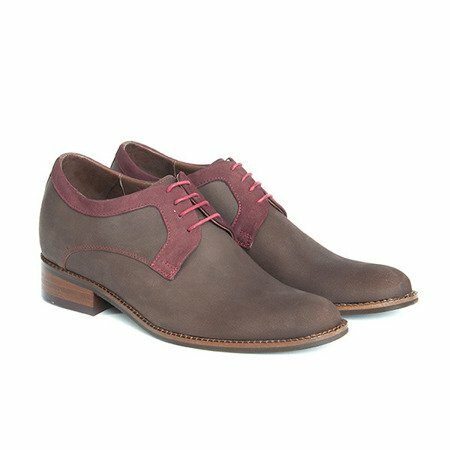 The shoes are decorated with elegant stitching. 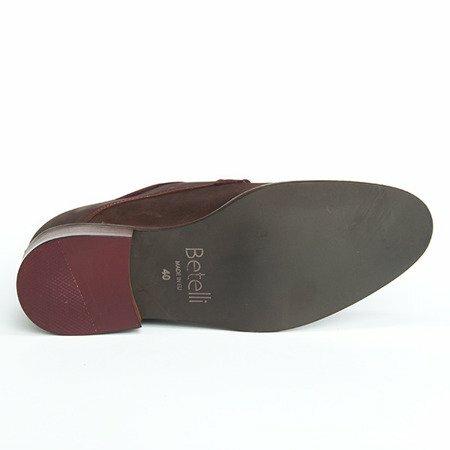 Placed on a brown rubber sole. 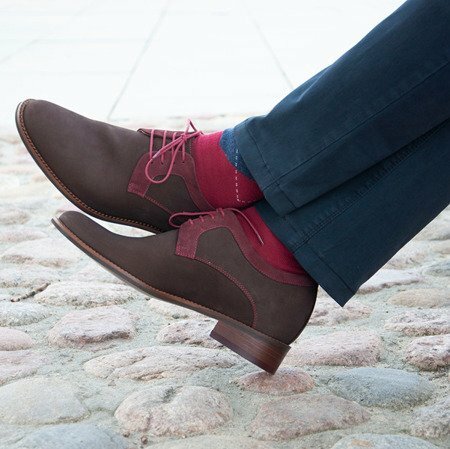 Ideally suited for less formal occasions.